Rules, regulations, and schedules often changes. This guide is to serve as a reference and always make sure to confirm that each ferry allows pets and confirm their policy. It is important to remember that each country has its own set of requirements for import and export of animals. You must strictly adhere to the timeline, vaccinations, documentation, and proper protocol. When traveling with pets it is very important to make a reservation in advance to guarantee space for both you + your pet. By Fast Ferry – The Balearia Bahamas Express offers round-trip fast ferry service between Port Everglades and Grand Bahama Island. Visit www.ferryexpress.com for reservations and more information. To access the ship, all animals must have a reservation and have obtained a boarding pass, whether traveling in kennels supplied and equipped by Baleària Caribbean on the ship or in their own pet kennel or carrier. Pets will be charged as an additional passenger. Please, contact Baleària Caribbean to confirm the rates. Currently, Baleària Caribbean only allows dogs on board. Dogs under 6 months of age are not allowed to travel. While on board, all dogs must be carried in their own approved pet carriers or restrained by a harness and leash, and never on the passenger seat. Owners are also requested to ensure that their pet does not bother other passengers. Dog would need a kennel and muzzle during the trip. Small dogs (less than 11 lbs.) During the crossing, they will be located on the deck or in the place indicated by the crew. Large dogs (over 11 lbs.) Must travel in a kennel; these are available on the ship for your convenience. Kennels are installed on the deck, properly ventilated and located in a suitable place, protected from rain and cold (except in the case of “service dogs” which may remain in the passenger area). While on board, out of the kennel, all dogs must be restrained by a harness and leash. Pet owners are required to sign a liability waiver form releasing Baleària Caribbean of all responsibilities that may arise for the injury or death of an animal during travel. Baleària Caribbean reserves the right to refuse to transport an animal for reasons deemed appropriate, such as: illness of a pet or an animal that demonstrates aggressive or violent behavior. To enter the Bahamas, pets must travel with the proper documents. Pets must have a valid document certifying that it has been vaccinated against rabies within not less than 1 month and not more than 10 months prior to import for the 1-year vaccine. For the 3-year vaccine, it must be within no less than 1 month and no more than 3 years prior to import to the Bahamas. All pets must have a Veterinary Health Certificate presented within 2 days of arrival in the Commonwealth of The Bahamas before a licensed veterinarian for an examination. An import permit is required from the Ministry of Agriculture, Trade and Industry for all pets brought into the Commonwealth of The Bahamas. The United States has announced that it will allow ferry service from Miami to Cuba. At least four ferry companies (Havana Ferry Partners, Baja Ferries, United Caribbean Lines Florida, and Airline Brokers Co.) have been approved. 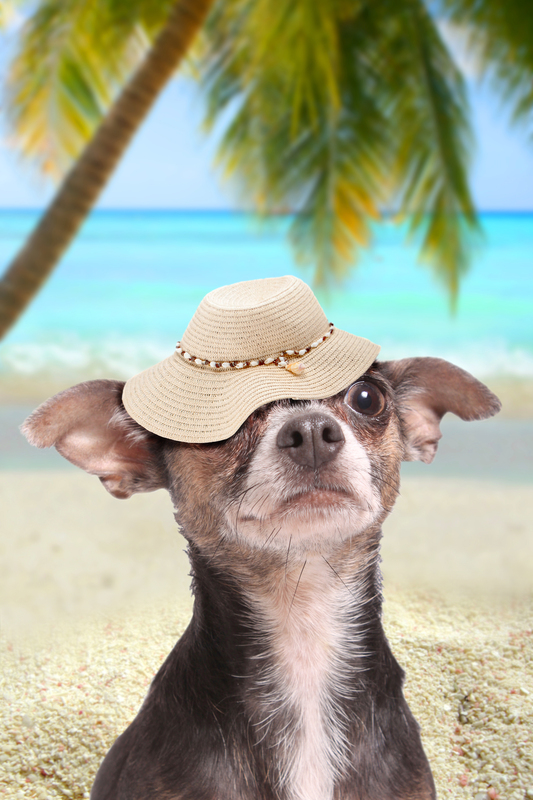 Travel by ferry to Cuba is still undergoing logistical planning and individual transport policies including pets. Proof of current rabies vaccination administered at least 30 days and not more than 12 months prior to entry. Veterinary Certificate for Cuba completed by a licensed veterinarian shortly prior to entry. Although it is not required, we recommend that a USDA or CFIA licensed veterinarian complete the APHIS Form 7001 and you have it endorsed by the USDA or CFIA if traveling from the United States or Canada. If you are traveling from another country, the Governing Authority responsible for the import and export of animals should endorse the forms. A copy of the Rabies Certificate should also be included for endorsement. Turks + Caicos. There are several options regarding domestic ferry services in the Turks and Caicos Islands. The Dale Marie is a weekend ferry between Bottle Creek in North Caicos and Middle Caicos. The Buccaneer is a ferry between Grand Turk and Salt Cay. TCI Ferry Service is a ferry service between Walkin Marina Leeward on Providenciales and Sandy Point Marina on North Caicos. It is best to check current timetables and pricing in advance. Cayman Islands: Private boats run from Cayman Brac to Little Cayman on a fairly regular basis. Operators charge $20(USD) each way for the 25 minute trip. While there is ferry service on Grand Cayman, it is used only to connect Rum Point and North Sound. The trip takes about 40 minutes each way and departs from the Grand Cayman Beach Suites hotel on Seven Mile Beach. Anguilla – Saint Martin. Seaonally, ferries operated by the Anguilla Ferry System run between the islands of Anguilla and Saint Martin. They leave daily between 7:00am and 7:00pm roughly every 20 minutes between Blowing Point (Anguilla) and Marigot on the French part of St. Maarten/St. Martin. Getting to Anguilla via ferry service from Dutch St. Maarten and French St. Martin is easy and there are several options. The Anguilla Ferry System offers a daytime service between Marigot (French St. Martin) and Blowing Point in Anguilla. The ferry runs every day in 45 minute intervals. Anguilla to Marigot hours are from 7:30am to 6:15pm and Marigot to Anguilla hours are from 8:15am to 7:00pm. The cost each way is $20 usd per adult and $15 usd per child. Private Anguilla ferries with service to and from the new Anguilla Ferry terminal at the Princess Juliana Airport in Dutch St. Maarten are: GB Express, The Link, Funtime, and MV Shauna. Prices vary from US $60 one way and up. To French and Dutch St. Martin/St. Maarten, security tax leaving Anguilla is US$3. Onward departure taxes from Anguilla are US $20 p/p; and US$5 p/p (for a day trip only) for adults and children 12 years and over. Note that to the Dutch side only there is an additional port tax added. Consult the Anguilla Tourist Board website for up-to-date schedules and information on departure taxes. Anguilla – Sint Maarten. Although longer than travel to Saint Martin, there is service between Anguilla and Sint Maarten directly. Ferries travel between Blowing Point in Anguilla and Philipsburg in Sint Maarten. Saint Martin – Saint Barthélemy. There are possibilities to go by ferry from Saint Martin to Saint Barthélemy. The MV Voyager travels two times daily between Marigot to Gustavia. Sint Maarten – Saint Barthélemy. The MV Voyager travels daily and on Wednesdays and Sundays twice daily (one in the morning and one in the early evening between Oyster Pond and Gustavia. 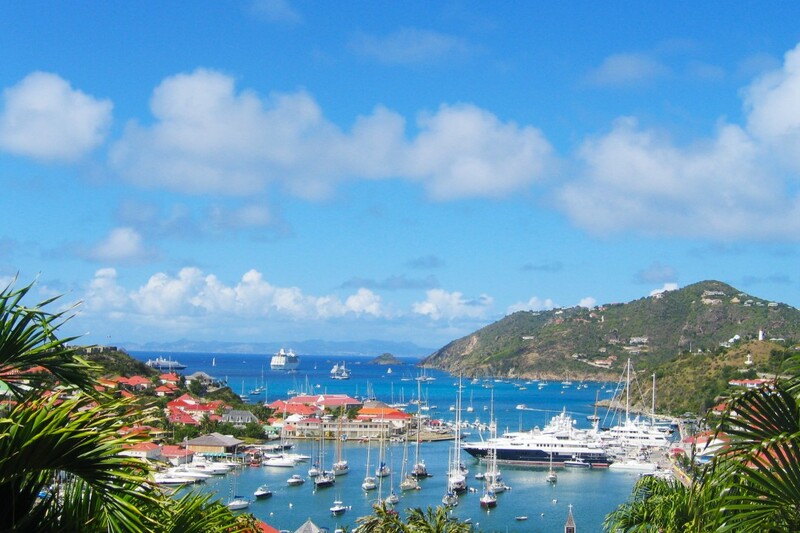 The Edge travels to Gustavia leaves from Pelican Marina in Dutch St. Maarten and offers a travel alternative. The Voyager connects St. Martin / St. Barth / St. Maarten with several departures daily. 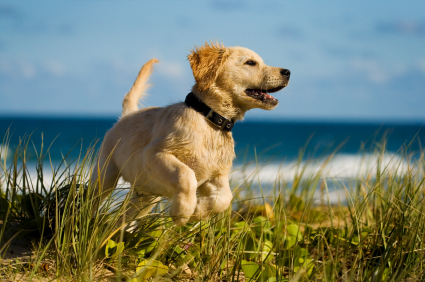 According to Voyager’s pet policy – Pets are welcome on board after agreement by Voyager. Dog breeds classified according to the relevant laws and regulations as dangerous are not allowed on board. In specific cases the onboard personnel may impose certain restrictions (leash or muzzle or box). Laws and regulations may require a valid vaccination and health to be checked before departure by the passenger and Voyager cannot be responsible for such a case. Make sure to know about the contract of carriage and/or please contact Voyager for more information before departure. Sint Maarten – Saba. The MV Dawn II offers travel between Philipsburg on Sint Maarten and Fort Bay on Saba. Crossings are on Tuesdays, Thursdays and Saturdays, leaving Saba in the morning and returning from Sint Maarten in the late afternoon. The Edge Ferry, departing Pelican Marina in St. Maarten on Wednesday, Thursday, Friday, Saturday and Sunday, returning from Saba later that day. It takes about 90 minutes travel time on The Edge Ferry compared to over 2 hours on the Dawn II. BLUES & BLUES, LTD. ~ Mutty’s Pride Saba C-Transport, N.V. is proud to announce our alliance with Blues & Blues, LTD., an innovative shipping company which operates the Mutty’s Pride that is based in Port de Galisbay, Saint Martin. Blues & Blues, LTD. specializes in shipping containers, vehicles, heavy cargo, as well as LCL of frozen, chilled and dry goods. The Mutty’s Pride travels from Saint Martin to Saba every Wednesday providing consistant and reliable service to Saba on a weekly basis. Dominican Republic. There are several domestic services to take in the Dominican Republic. One of those is between Samana and Sabana de la Mar. Boat and ferry service within the Dominican Republic is limited, however, visitors in Samaná or Sabana del Mar will be happy to know that a daily ferry service runs between the two locations. Those looking to explore national parks and islands off of the coast of the Dominican Republic will be able to secure boat and ferry service to locations such as Saona Island, off the southeastern coast of the island, for $40(USD) to $100(USD). Dominican Republic. Puerto Rico. America Cruise Ferries has been transporting passengers between the two locales since April of 2011, and sees regular gains in popularity that keep the vessel afloat. Trips begin at $139(USD) round trip, and last between eight and twelve hours. Jamaica: International services are non-existent but there is the alternative of taking a ferry between select coastal towns/cities in the country. One option is to board a ferry from Kingston to Port Royal. There is also a ferry between Port Antonio and Navy Island. Haiti: There are several domestic ferries traveling between the mainland of Haiti and several islands off the coast. Services include those to and from the capital Port-au-Prince and Jérémie and between Cote des Arcadins and Ile de la Gonave. Puerto Rico – United States Virgin Islands. There is a fast ferry between Fajardo in Puerto Rico and St. John and St. Thomas in the United States Virgin Islands. Saint Kitts and Nevis. The MV Caribe Queen, MV Carib Breeze and MV Carib Surf, the MV Geronimo, and the MV Sea Hustler operate between islands. Crossings take about 45 minutes and provide an excellent way of travelling between the capital Basseterre on Saint Kitts and Charlestown, the ‘capital’ of Nevis. USVI. Passenger ferries operate between St. Thomas (Red Hook & Charlotte Amalie) and St. John (Cruz Bay). Car ferry service is available between Redhook, St. Thomas and Cruz Bay, St. John. The Water Island Ferry travels between Crown Bay, St. Thomas and Water Island, contact Water Island Ferry (340) 690-4159 for details on services. There is also a ferry between Christiansted, St. Croix and Charlotte Amalie, St. Thomas. Contact VI Seatrans for more information about schedules and prices. USVI – BVI. There are ferry services between St. Thomas (Charlotte Amalie and Red Hook) and Tortola (West End and Road Town). Contact Road Town Fast Ferry for options. Speedy’s operates ferries between Virgin Gorda and St Thomas, sometimes via Tortola. There are about 4 or 5 sailings in each direction between Cruz Bay, St. John (USVI) and West End, Tortola (BVI). In addition, ferry operators offer a service between St. Thomas (Red Hook and Charlotte Amalie) and Virgin Gorda. Inter Island Boat Service (340) 776-6597 is the ferry service to contact for more information. Click Virgin Island Schedules. British Virgin Islands. There are several ferries offering services between the British Virgin Islands with many connections on a daily basis. Smith’s Ferry, North Sound Express, Speedy’s and New Horizon Ferry are the operators that offer the most options and routes. Antigua to Barbuda. The ferry takes 1.5 hour and the ferry departs at 8:30am on Wednesdays, Thursdays, Saturdays and Sundays from Saint John’s, arriving at River Dock, Barbuda. The return service from Barbuda departs at 3:15pm on the same days. On Tuesdays and Fridays the service departs Antigua at 4:45pm and returns the following day from Barbuda at 6:30pm. For more information check the Barbuda Express website. Antigua – Montserrat. The Antigua to Montserrat Ferry typically runs 1-2 times per day. It departs the port in St John’s daily at both 9am and 7pm (on Sun, Weds, Fri), 6pm (Tues, Thurs) and 7pm on Sat. The cost is EC$150 each way, tickets are bought at the port. The Montserrat to Antigua ferry departs Little Bay at 6.30am and 4.30pm. Saint Vincent and the Grenadines. There is an Inter Island ferry between several of the main islands of Saint Vincent and the Grenadines. Four ferries operate between the islands of Saint Vincent, Bequia, Canouan, Mayreau and Union Island. Passengers traveling to these islands are serviced by M/V Gem Star, M/V Jaden Sun, M/V Barracuda, M/V Canouan Bay. Saint Vincent and the Grenadines – Grenada. From Union Island in Saint Vincent and the Grenadines there are ferries to and from the island of Carriacou, Grenada. The M.V. Jasper travels from Union Island to Carriacou. Water taxis are available between Carriacou and Union Island. Grenada. Ospreylines has ferry services connecting several islands in Grenada, including the main island, Carriacou and Petite Martinique. Guadeloupe. L’Express des Iles has daily services between Guadeloupe and several other islands. To the Iles des Saintes, there are daily connections leaving Pointe-a-Pitre (Grande-Terre) for Terre de Haut. In the opposite direction they leave Terre de Haut late afternoon. There are two crossings daily (one in the morning and one in the late afternoon) as well between Terre de Haut and Trois Rivières (Basse-Terre) and between Terre de Bas and Trois Rivières. From Terre de Haut you can take another local ferry to Terre de Bas as well. Other connections include the ferry from Point-a-Pitre to Grand Bourg on the island of Marie-Galante one of which is via Saint Louis. CTM Deher has services between Basse Terre and Les Saintes several times daily. Guadeloupe – Dominica. L’Express des Iles operates almost daily services between the islands of Dominica and Guadeloupe. Guadeloupe – Martinique. L’Express des Iles has regular services between Pointe-a-Pitre and Fort-de-France, the capital of Martinique. The ferries first go to Dominica then Martinique. Martinique. Several companies offer ferry services between Fort-de-France and several resort areas. Somatours Vedettes runs a ferry to Pointe du Bout and Vedettes Madinina travels there as well. Matinik Cruise Line goes to the village of Trois-Ilets. Guadeloupe – Saint Lucia. L’Express des Iles offers services to Castries. It’s the same ferry which goes to Dominica and Martinique, leaving from Pointe-a-Pitre and arrives in Castries in the afternoon. Dominica – Martinique. L’Express des Iles has weekly services between Dominica and Martinique traveling between the capitals Roseau and Fort-de-France. It takes about 1.5 hours in both directions. Dominica – Saint Lucia. L’Express des Iles has weekly sailings between the capitals of Dominica and Saint Lucia, Roseau and Castries. Each stop on their route in Fort-de-France, Martinique. Most boats leave around 10am and take about 4.5 hours to complete total travel. Martinique – Saint Lucia. L’Express des Iles travels from Fort-de-France to Castries on Saint Lucia. Crossings take about 80 minutes. Trinidad and Tobago. The Trinidad and Tobago Port Authority operates inter-island, daily car ferries between the capital Port of Spain on Trinidad and the capital of Tobago, Scarborough. The T&T Express, T&T Spirit, and the Panorama & Warrior Spirit are the ferries.